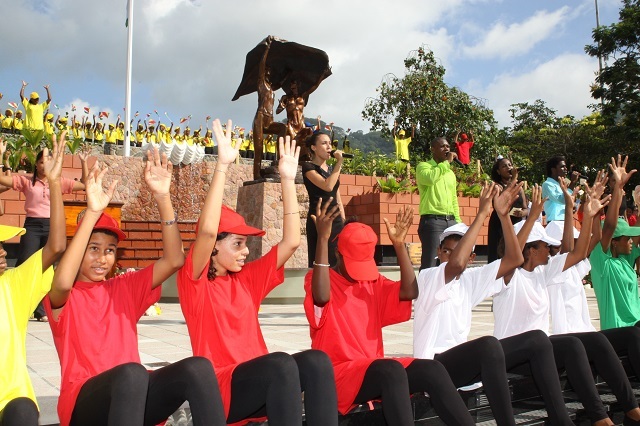 (Seychelles News Agency) - The Seychelles islands celebrated the anniversary of 38 years since their independence from Britain in a joyful ceremony today in the capital Victoria with the unveiling of a new national monument called Liberty. 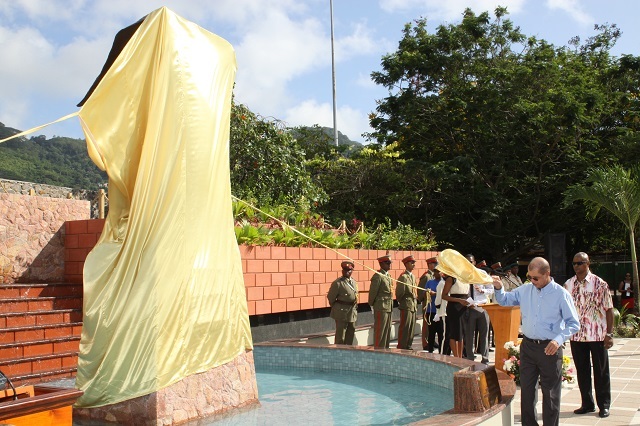 The statue of a man and woman holding the national flag of the Indian Ocean islands was unveiled by the country’s President James Michel this morning. 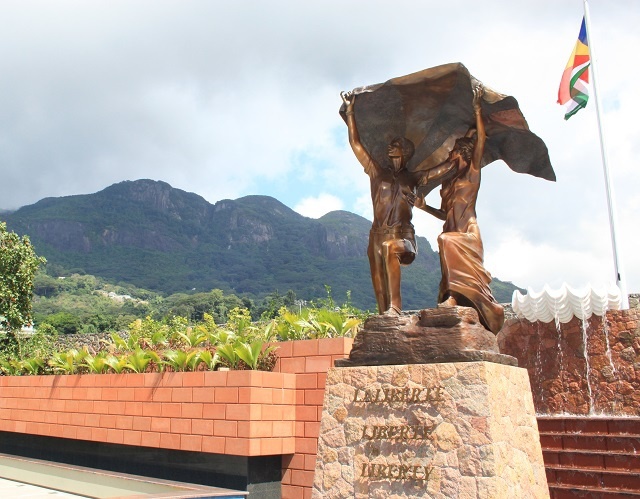 The new monument replaces the Liberation monument which was removed from the 5th June Avenue in April this year in the midst of mixed public reaction after Michel announced the gesture as a step towards national unity. 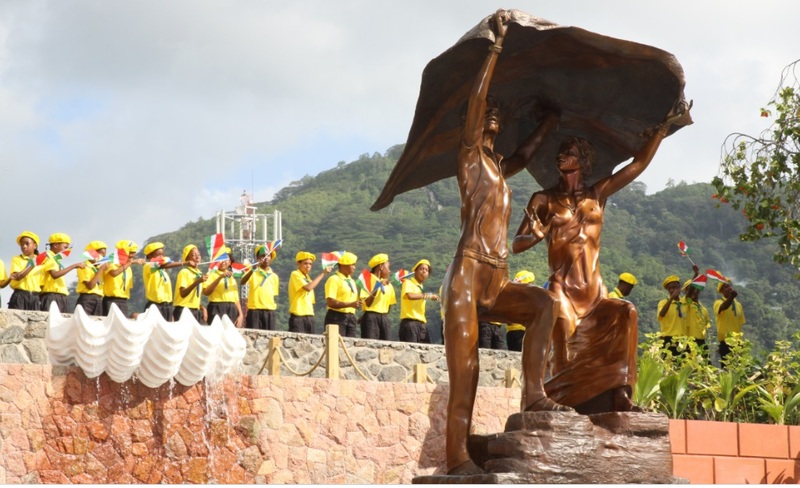 This morning he called on the Seychellois people to see the Liberty monument as a new source of inspiration for patriotism and healing from past suffering in the more than 200-year history of the islands. 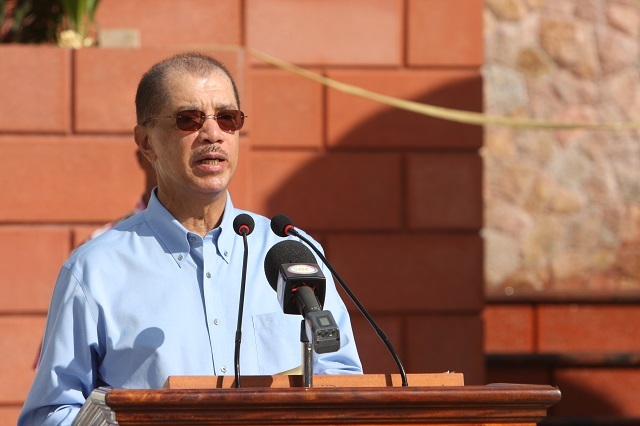 “Let it inspire our efforts to work for a New Seychelles where we have banished hatred, prejudice, recrimination. Let it inspire so that love reigns in our country. 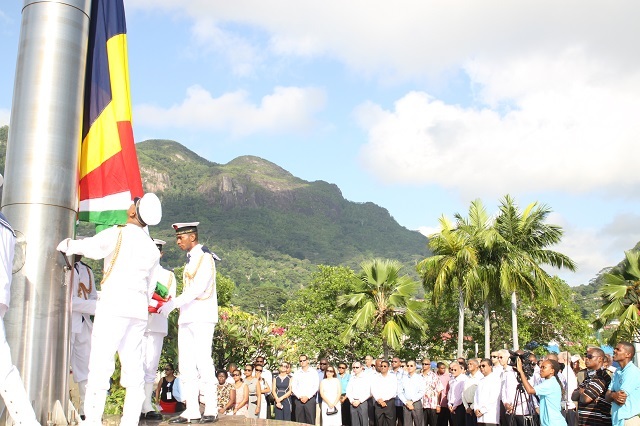 Let our sufferings of the past, the sufferings of more than two centuries of history, strengthen our resolve to create a Seychelles that is united and at peace. Let the victories and successes of our past inspire us toward other victories and successes in the future,” said Michel in his Independence Day address to the large crowd. The bronze statue was sculpted and designed by British-born Seychellois sculptor Tom Bowers and then processed at the Bronze Age Foundry in Cape Town, South Africa. 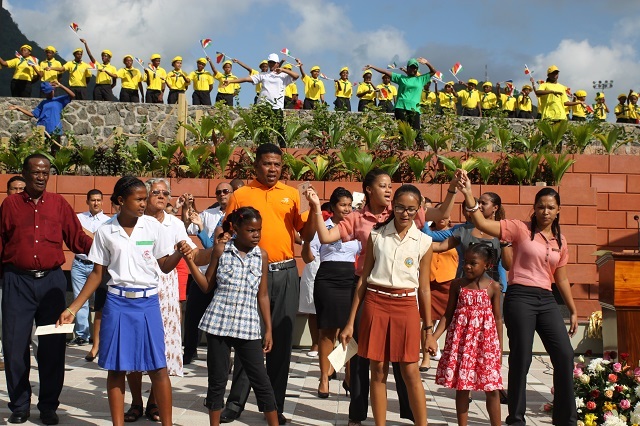 School children as well as a range of representatives from government, private sector and civil society joined together in a song to commemorate the event as a show of national unity and harmony. SNA will bring more details and insight on the new Liberty monument in the course of this week. 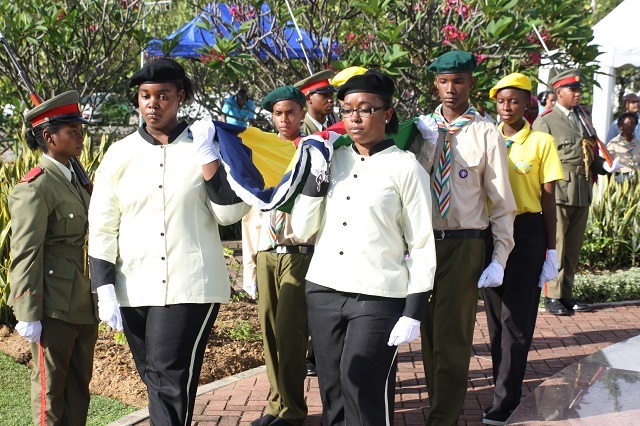 The morning’s Independence Day celebrations started off with a flag-raising ceremony at the Lavwa Lanasyon (Voice of the Nation) monument in Victoria, where the Roman Catholic Bishop Denis Wiehe and other religious leaders offered prayers for the nation. 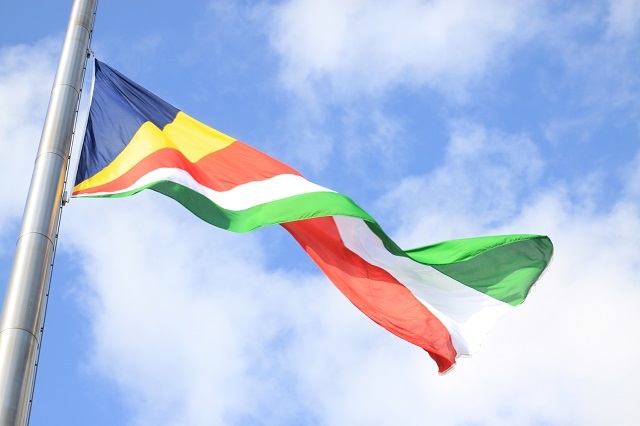 Next year the Independence Day will be celebrated as the National Day of the Seychelles, after the Seychelles ruling party ‘Parti Lepep’ congress voted a resolution on May 31 to ask the government to make the 29th of June the Seychelles National Day as of next year. The current National Day of 18th of June will be known as Constitution Day in 2015.